Good news for folks 50 and over who busy themselves on the Internet. 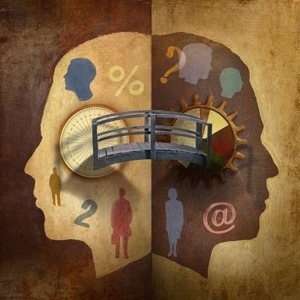 A study that has not yet been disclosed to the public reveals that those who spend a significant amount of time online interacting with emails, apps, research, shopping, websites, reading, and writing have a greater chance to ward off any kind of dementia. The theory is that the Internet provides a platform where your wits are being challenged all the time and your brain is being exercised to retain information. The study was done by a well-known bio-research company that has been studying dementia for 15 years. I learned about the study during several discussions with the research group, but I have no idea if they will ever publish it. Meanwhile, The New York Times reported the other day that a new study in England found that dementia in people 65-plus has decreased 25 percent over the last 20 years to 6.2 percent from 8.3 percent. A Denmark study in 2010 showed that people in their 90s scored a much higher mental capacity than those who were tested a decade before. My sources, as well as the researchers quoted in The Times, feel fewer older folks are experiencing dementia because of healthier lifestyles and education. In other words, more and more senior citizens are not just sitting around getting fat. They are busy giving their brains a workout. Personally, this all makes sense to me. We are lucky to be seniors in this day and age. Relax and enjoy yourself. 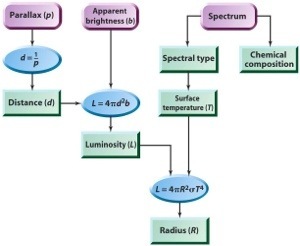 Chances are you will be lucid to the very end. I knew that headline would get your attention. Many people I know who are over 50 are concerned about getting some form of dementia. Either it runs in their family or they have watched others suffer. In either case, it’s not a pretty picture. In fact, it’s downright horrifying. I often tell myself that since I keep my mind so busy I don’t really have to worry about it. We have all read reports, and I have even written posts, about electronic mind games that keep your brain sharp. While I want desperately to believe an active mind is preventative of dementia, it is highly likely that it doesn’t mean a thing. We had a client who was celebrated as one of the most feared entertainment trial lawyers in the country because of his wins. We actually worked for him for over a decade and watched him protect the financial rights of The Beatles, Billy Joel, Elton John, Eddie Murphy, and more. He had a mind that was sharper and more calculating than most. Other lawyers used to line up to work with him. His 50th birthday celebration was in Bobby DeNiro’s restaurant, the TriBeCa Grill, which was brand new at the time. The party was star-studded and filled with so much energy that I actually pinched myself to believe I was part of his crowd. Sometime after that, he started doing strange things, some of them very eccentric, but we all thought that was just his wacky, genius personality. Then he displayed big emotional swings that were unexplainable. After that, he couldn’t remember simple words and his whole life spiraled downhill. I could go on forever about this guy because if there was ever a mind that you would think would be the last to get dementia, it was his. We watched him descend from one of the greatest lives anyone could ever want to one of the most feared. By the time he was 60, he had spent a decade being taken care of by a nurse in his downtown loft right near our Flatiron office. I often found myself standing outside his building trying to find solace. For years I wouldn’t go inside to visit him because the deterioration was too much to bear. Finally, his adult daughters (their devotion to him should be made into a book or a movie) convinced me to see him one last time. Of course Eliot went with me, but it was still a very painful yet a profound experience. Shame on me for not going more. The reason I am telling you all this is because there is great hope for many of us in that dementia may now be quickly diagnosed in routine visits to your doctor. The promise from the medical world is that they are working on ways to slow it down so we can live full, active lives for decades after early detection. The iPad (or other tablets like it) is going to play a major role in this development. What used to take years to predict will now take 10 minutes for your physician. One company, Cantab, is developing a new iPad app from Cambridge Cognition that will become available within a year. The technology, based on testing developed at the University of Cambridge, is designed to be easy for doctors and patients to use together. Watch the video for a better explanation. Trust me, there are hundreds of applications that are being developed along these lines. I have read about them over the years but when I recently learned about this one, I decided to share. Every once in a while I test my memory to make sure I am still all there. Then Eliot insists that he tells me something one minute and, five minutes later, I ask him the same thing again. Personally, I don’t think I am listening to him, but he thinks I am losing it. The more we travel, the more we hear about luggage being lost by the airlines for a day or two. I have had that happen to me a few times. I get to a destination only to find out that my luggage didn’t make it. It happened on a business trip to Taiwan 35 years ago, when we traveled to Eastern Europe five years ago and then just last year when we returned from India. It is such a terrible, empty feeling. The older we get, the more nervous we get about the whereabouts of our luggage. I never pack my meds, extra eye glasses, jewelry, laptop, iPad, Kindle, chargers, and important papers. All that is in my carry on. Tomorrow we leave for LA for a few days. This trip things will be a little different. 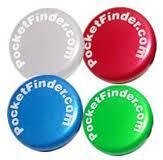 I am using the PocketFinder Personal Locator. Wait to you hear about this. 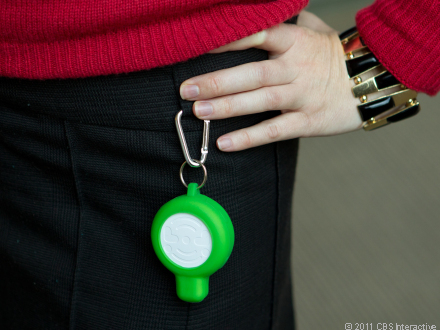 The PocketFinder is a personal GPS. It fits in the palm of your hand. You can use it to track people, pets, vehicles and in my case luggage from the web, the iPhone or Android mobile devices. It’s available for $149.00 and a small monthly charge for the service. I am going to put one of the personal GPS locators in my luggage. When I get on the airplane tomorrow I will make sure the luggage makes it just by turning on my iPhone. 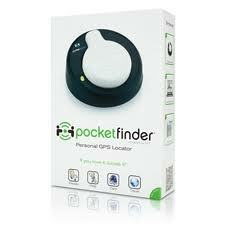 The mobile PocketFinder GPS mapping application pinpoints the location of the device that will be in my suitcase. 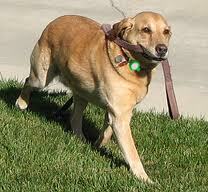 Just think about the possibilities of tracking a person with dementia or your child, grandchild or even pets. Users can customize the map application by establishing zones that automatically send alerts if a loved one enters or leaves a zone on foot or in a vehicle. In addition, speed alerts can be set that notify users if a vehicle exceeds set speed limits. Alerts are sent instantly via email, SMS text, and push notification. The devices are as easy to recharge as a cell phone. PocketFinder’s GPS Vehicle Locator attaches to automobiles, recreational vehicles, motorcycles, boats, snowmobiles, jet skis – virtually any powered vehicle. It allows users to pinpoint the location of the vehicles as well as their speeds – capabilities especially welcomed by parents of teenage drivers. The compact GPS Vehicle Locator can also help authorities to quickly find a lost or stolen vehicle. Don’t tell me that you don’t find this mind bloggling? Who ever thought there would be a day that we could track people and things from our telephone? What an unbelievable time to be alive!